This WeePee super absorbent 60 × 60cm 7 layers training pad is ideal for puppies as well as dogs that you would like to toilet train! 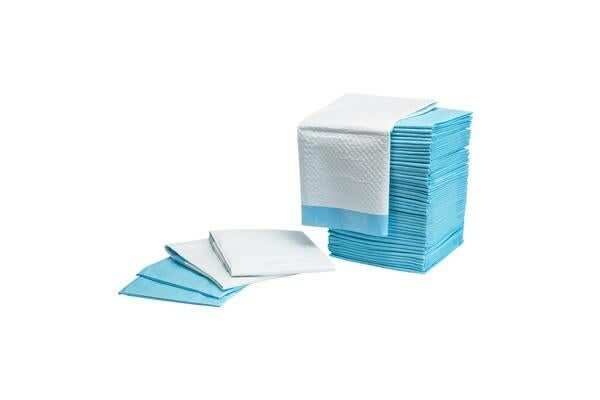 The 7 layers are: non-woven fabric, top tissue, fluff pulp, SAP, back tissue, PE film and adhesive strips. The pad is designed in a way to offer up to 12 hours of protection! Toilet training is a must have training for your pets, even if you keep them outdoors. This essential training will make you and your beloved pet live more happily! 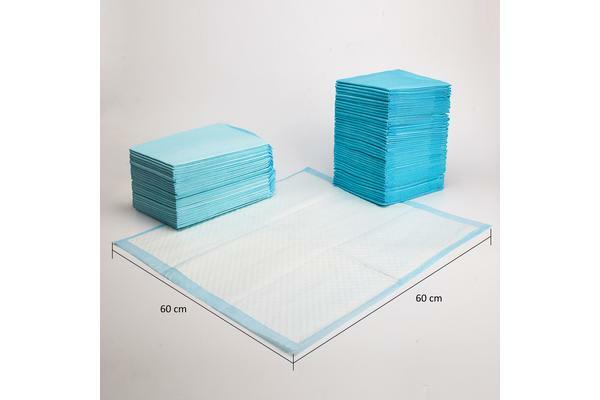 The pad is made of high quality soft non-woven fabric with 7 layers of protection so it absorbs high quantity of liquid. We tested and it can hold up to 850ml of liquid without leaking. The pad is treated with antibacterial protection so you can have a peace of mind that your beloved pet is protected. 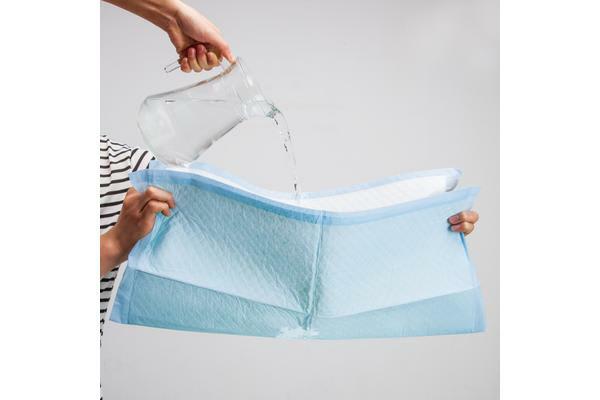 Together with the super absorbent pad, the high quality leak-proof and tear resistant plastic liner and borders ensure that no liquid is leaked outside of the pad. This is very important as you do not want to do extra cleaning as well as your dog to be confused as to where it should do their toilet necessities. Another great feature about this training pad is that these pads have a non-toxic treatment on it so it minimises the bad odours which is inevitable when toilet training your puppy. The pads are also scented to attract pets in order to make it easier for them to know where exactly it is ok to urinate. Disposal of the pad has also been made easier with the easy peel adhesive strips so once you need to dispose it, you can fold it and use the adhesive strips to prevent it from reopening inside the trash can and this also helps avoiding leakage to your bin which directly causes bad odours. If you just adopted a puppy or a dog and need to toilet train them, our WeePee toilet training pad is a must have item in order to give your pet and you comfort! * Friendly Tip: when using WeePee, it is important to train your puppy/dog not to destroy the training pad. When dogs are bored, they will destroy household items, and it is recommended to use this training pad under supervision for the first few months of toilet training. Diamond shape absorbing pad design to help prevent leakage. Friendly Tip: when using WeePee, it is important to train your puppy/dog not to destroy the training pad. When dogs are bored, they will destroy household items, and it is recommended to use this training pad under supervision for the first few months of toilet training.